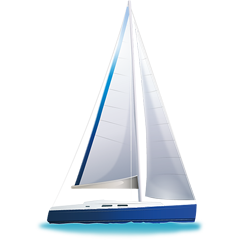 Mr. M is a name of sailboat Grand Soleil 56 ,which was produced in 2004. You can charter this vessel from marina Naples in area of Latium And Campania. Mr. M is equipped with 6 beds. Sleeping places on the yacht are arranged in 6 2+1 scheme. 3 cabins are located inside the vessel Mr. M. You can search different yachts right here: Yacht charter Latium And Campania. Passengers can feel comfy on this vessel , because there are 3 heads for their disposal. With 400.00 l l. in tank for fuel you can sail really far and still be independent because of 650.00 l l. in water container. Mr. M is powered by motor 100 HP Yanmar. Vessel's dimensions are: lenght overall - 16.93 meters , width - 4.82 meters and 2.55 meters of depth. On the sailboat there is following equipment: Mainsail with lazy jack, Autopilot, Plotter gps in cockpit, Radar, Bow thruster, Dvd, Radio / cd player, TV, Wc pump electrical, Inverter 12v-220v, Bimini top, Electric winches, Teak cockpit, Teak deck, Dinghy. . Security caution there is 2000.00 EUR. In our search engine you can effortlessly check avalailability of yacht Mr. M from Naples over here: Yacht charter Italy.